Enjoy a ‘milky espresso’ from the comfort of your own home! Everyone loves a latte, so check out our top picks for home latte machines. One for the milk lovers! Caffè latte is very popular due to the combination of espresso and milk. 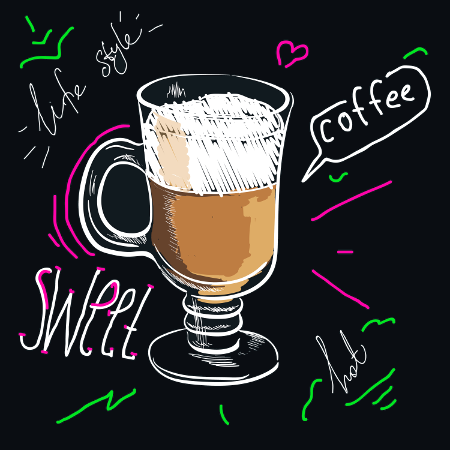 Dating back to European culture in the 17th century, lattes are by far one of the most popular coffee drinks in the world, which is largely down to their more mild and milky taste. And possibly partly due to the cute little animals baristas keep drawing on the foam. 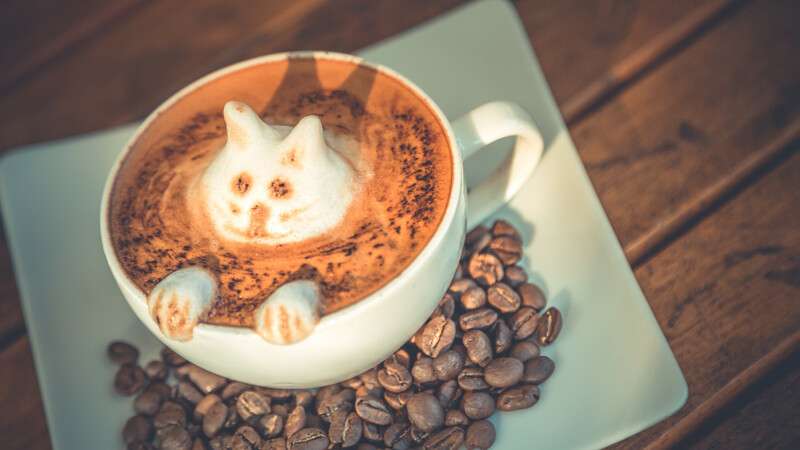 You can enjoy a latte in your own home, but we can’t down anything about your foam art skills. Sorry. What are you looking for in your latte coffee machine? Making your own delicious hot drinks at home is convenient and also saves you money in the long term. There are many coffee machines on the market and the Breville VCF041 ‘Moments’ is definitely one that is worth considering. Let’s take a look at this product in more detail. The Breville VCF041 ‘Moments’ can make a number of different drinks at just the touch of a button. The product has a sleek black finish, it looks modern and is also very compact. Considering the variety of hot beverages available and the fact it is from such a well known brand, this is a very affordable product. You can use your own coffee, milk.etc. in this machine but the taste is definitely of a barista-style quality! There is a warranty with the product, allowing you to get your money back if you experience any issues. This machine tailors to whatever your taste is by allowing you to use your own milk, hot chocolate and instant coffee. This is convenient and saves on the cost of coffee pods which most devices use nowadays. The drinks that you can make include coffee, hot chocolate, latte, milked malt drinks, babyccino and more. The Breville VCF041 ‘Moments’ is really easy to use and full instructions will be provided along with it. All the components are easy to disassemble and are dishwasher friendly for easy cleaning. As you can see, the Breville VCF041 ‘Moments’ is the perfect product if you are looking for a device that looks stylish and is also easy to use. It’s an affordable product that is worth investing in if you want a more convenient option to preparing hot drinks. You can make your choice from a number of different hot drinks to enjoy at home whenever you feel like. A luxurious coffee machine will allow you to make the best quality hot beverages at home and the Nespresso EN550.R Lattissima definitely fits this criteria. Let’s delve into the specifics of this product and what it offers. 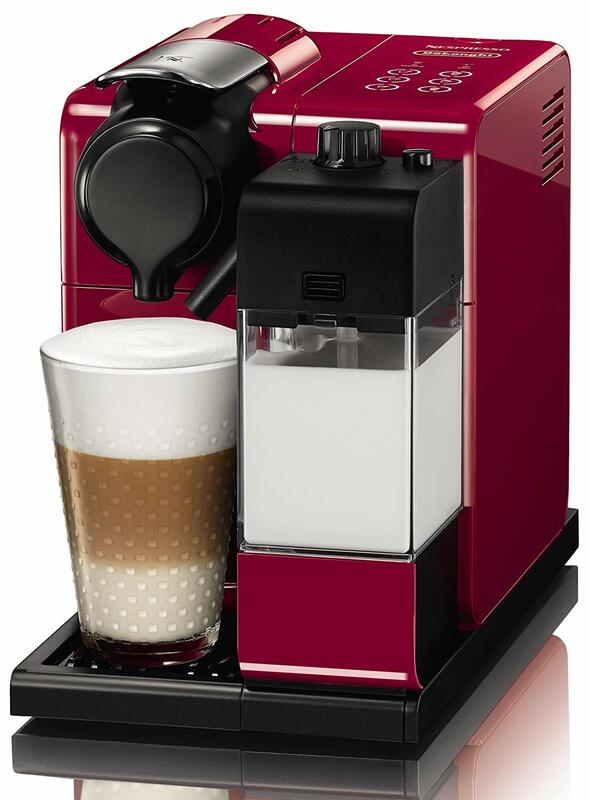 This beautiful coffee machine comes in a range of different colors including red, white, silver and black. They all have a clean and shiny finish and would definitely be the most sleek accessory you could choose for your kitchen. The automatic machine works off pods so there are a number different drink choices available. This is a high-tech item, with the machine remembering your favorite drink if you set it to do so. Although this might be a slight more extravagant purchase than other coffee machines, if you are a regular caffeine consumer, it’s an investment worth making. The drinks available are cappuccino, latte, espresso, ristretto, long and hot milk. It is an automatic machine which gets the drink into the glass or mug quicker and easier. 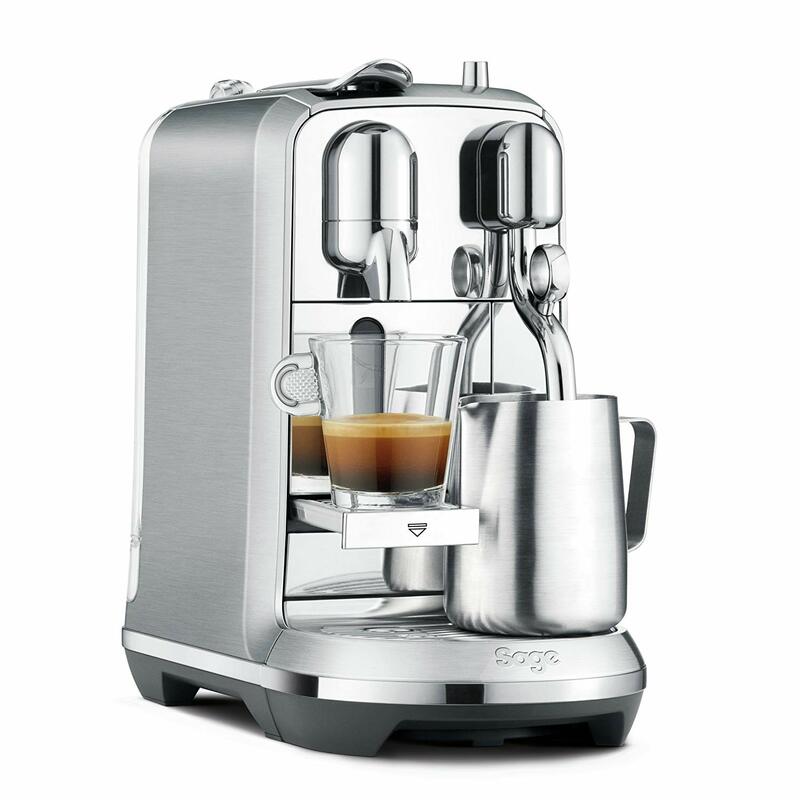 The Nespresso EN550.R Lattissima is based on pod technology. Any Nespresso branded pods available in supermarkets will work with the device. It looks amazing and you are guaranteed to get lots of compliments on it. Includes an LED display with touchscreen. You can program the device to remember your favorite coffee and the amount of milk.etc. you like, which is pretty cool. There is no doubt that the Nespresso EN550.R Lattissima is an amazing product that works really well. This modern and stylish machine would definitely look great in your kitchen. It includes all the latest features and is also super stylish. Quit wasting money on coffee shops and restaurant, you can enjoy the smoothest and tastiest coffee ever with this item and all from the comfort of your own home. It is so much more convenient to be able to make your own amazing coffee at home, rather than waste money at coffee shops every single day. A high quality machine like the Nescafé Dolce Gusto Jovia is a great product and you can learn more about it below. Starting off with the general appearance, the Nescafé Dolce Gusto Jovia EDG250B Coffee Machine looks really cool with a sleek black finish. It is fairly compact and would make a welcome addition to any modern kitchen. This is a pod machine with over 40+ hot and cold drinks to try depending on your personal preferences. Customers all around the world are really happy with this product and for the main reason being, you are guaranteed coffee shop quality. There is a two year guarantee on this coffee machine, allowing you to get your money back if you experience any issues. The pods that go with this machine can be bought online and at most supermarkets. Some drinks you can try include cappuccinos, lattes, hot chocolates, espressos and ice drinks – all in a variety of interesting flavours. The 15 bar pump technology on this product means that your coffee will taste like it has been made by a barista at a luxurious coffee shop. It is easy to use even if you have never had a coffee machine before! It is also really easy to clean. It’s an automatic coffee machine which means that everything is done for you at the press of a button. 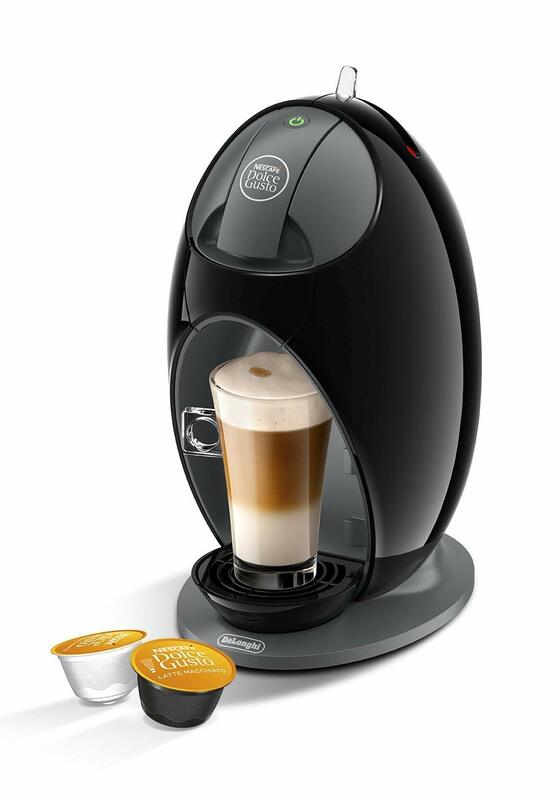 The Nescafé Dolce Gusto Jovia EDG250B Coffee Machine is a product worth investing in if you are looking for a high quality product that is reasonably priced. For all you caffeine lovers, it’s a must have and the accessory will look absolutely perfect in your home. 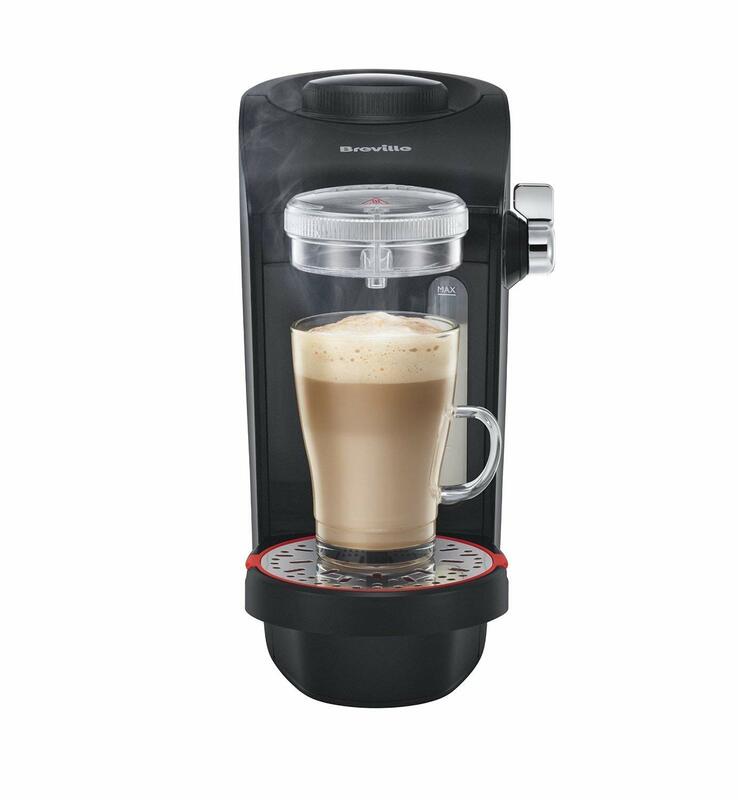 Enjoy a delicious coffee from your own home by investing in this premium and stylish coffee machine. If you are willing to spend a little more on a device that produces hot drinks which are of the highest quality, this could be the right product for you. Come and learn some more about it. The Nespresso Creatista Plus Coffee Machine works with pods and there are a number of different hot drinks it can make including cappuccinos, lattes, espressos and more. In terms of appearance, it is absolutely beautiful with a cool silver finish that would look perfect in a modern kitchen. The high resolution display is very intuitive and guides you through every action that needs doing. The coffee machine is relatively easy to use although it does come with an instruction booklet. A warranty is also included so you can get your money back if you have any issues with the device. Everything on the coffee machine is removable and easy to clean, the on screen display will even prompt you when the wand needs cleaning. The pods are available to buy online and in most supermarkets, you can enjoy all the delicious drinks that you would in a restaurant/coffee shop but at home. In addition to looking very stylish, it is made with strong stainless steel and is very durable. It is an automatic machine meaning everything is done for you within seconds. You can set the milk to your preferred temperature allowing you to have your coffee exactly the way you like. 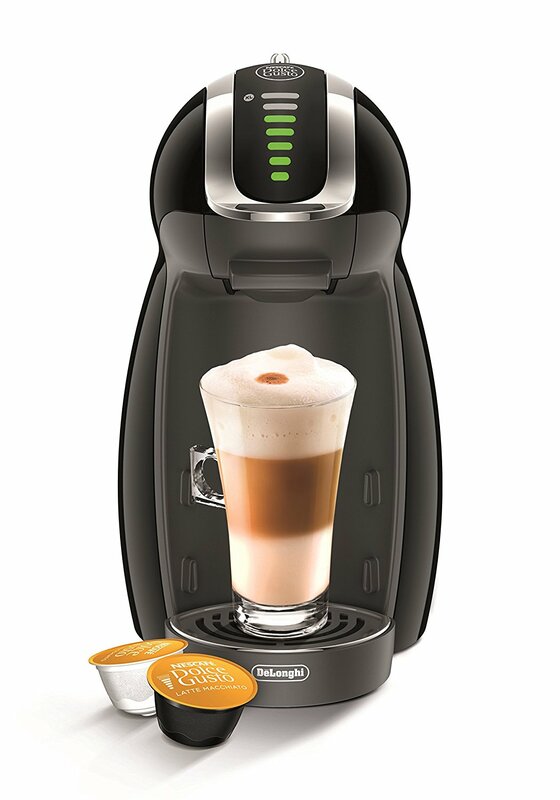 The Nespresso Creatista Plus Coffee Machine is definitely the pod machine for coffee lovers. While the price is higher than other models, it looks great and has a large selection of different coffee types to choose from. A fine addition to any kitchen! A pod coffee machine at home allows you to enjoy the smoothest and tastiest coffees at your convenience and would also save you the cost of coffee shops every day. This product would definitely be a great investment for any caffeine lover. When shopping for a coffee machine, the De’Longhi Nescafe Dolce Gusto Genio 2 is worth considering. Let’s take a look at exactly what this device offers. The De’Longhi Nescafe Dolce Gusto Genio 2 Coffee Machine is a stylish and compact product that comes in a sleek black colour which would look perfect in any kitchen. The 15 bar pressure machine promises barista quality coffee every time. It is really high quality and there are a number of different hot drinks that it makes. This product has positive reviews from customers all over the country. If anything does go wrong with the machine within 2 years, you can get your money back thanks to the manufacturers guarantee. You can enjoy 40 plus hot and cold drinks with this machine. This includes lattes, cappuccinos, espressos, hot chocolate and iced coffees – all in a variety of different flavours. The coffee is full bodied and smooth thanks to the 15 bar technology that many similar products do not have. There is an LED display and also joystick control on the device. This allows you to make your coffee exactly the way you like it. Choosing the amount of milk and water the machine recommends, or personalising it to yourself. All the components on the coffee machine come apart easily, so this product is really easy to clean. If you’re looking for an automatic coffee machine that has plenty of options, but doesn’t break the bank, then the De’Longhi Nescafe Dolce Gusto Genio 2 really delivers. It’s affordable enough for most coffee lovers, but still has a high quality and makes a broad range of different types of coffees.